Liverpool pulled off a stunning victory against favourites for the title, Manchester City this past weekend. The 4-1 scoreline didn’t really flatter the Reds, who were dominant, and right on top of their opponents. What magic dust has Jurgen Klopp sprinkled on pretty much the same squad that was struggling under the previous manager? 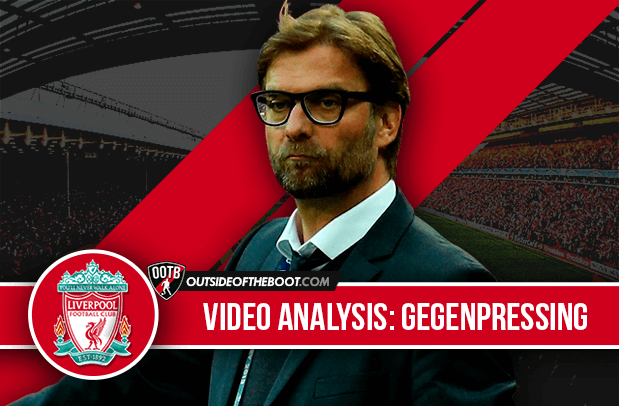 The previous video analysis post looked at the gegenpressing that Jurgen Klopp drilled into his new team, and how effectively the tactic worked against Chelsea. Now of course, we all know that Jurgen Klopp is a huge fan of the pressing game, but as we learned in that video, he isn’t the nutcase he often tries to show he is. The German coach is a master tactician, and varies his pressing methods and styles almost on a match to match basis. The principle of trying to win the ball high up the pitch remains the same, but the technique is seldom constant. As we see in the video, against City he went with a zonal pressing system, again adhering to the basics. They work hard to close down the passing opportunities their opponents may be looking to generate, and force the opponents into making errors, making it easier for them to play and create chances in dangerous regions of the pitch. Also, this isn’t really a gung ho approach like it is often portrayed. It is very organised, systematic, and it is really hard work. Liverpool seem to be getting better and better with each game, and with Klopp at the helm, in a crazy season like this, 4th place doesn’t look out of reach. They’ve played most of their tough away games, and aren’t really adrift of the top spots. Continuing a run like this is what takes teams to the top, and if the Liverpool snowball can gather pace like it did in 2013-14, we could be in for another really exciting season.